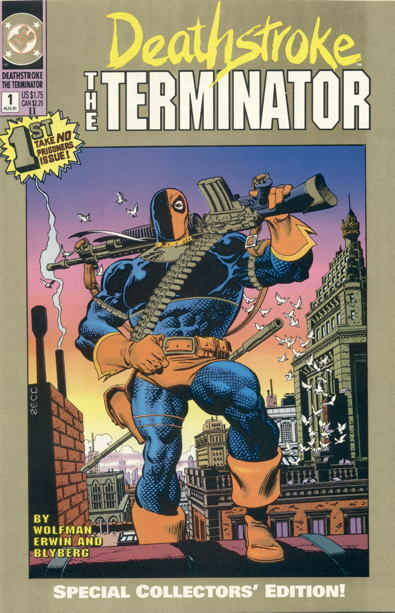 Sorry, nitpicky correction: the original Deathstroke #1 had the image filling up the cover, no border. This book and Adventures of Superman made me realize that Marv Wolfman’s writing was not for me. Sorry to interupt,but I’ve got Rotworld news.It looks like the cross-over includes Frankenstein 13-14-15 and Beast Boy feels the effects in Ravagers 5.Just thought you Swampfans would like to know. Deathstroke- one of the WORST named characters in comics! Swamp Mark, why don’t you start up your own Swamp Thing site, or a wordpress blog for Swampy news at the very least? You’re right,White Lantern,I probably should.I miss Rich’s site so much.He was so good about telling us of Swampy appearances,no matter how obscure.Now that I have to keep track of it myself,I just wanted to share the info with others who can use it.I was also hoping if I missed anything,someone would chime in.I figured that every swampfan out there must have this great site on their favorites so it was the perfect venue to share info.I apologize for using your comments section for my own purposes,Mike.I just get so excited when I see all these various appearances to buy and feel the need to share.I’ll try to control myself. Go for it, Swamp Mark. Let nothing stop you! I’m interested in Mike’s reaction to the new Alan Scott GL origin in ‘Earth 2.’ I’ll refrain from saying more to avoid spoilers. Those gold books are certainly nice. At least some of them. I’ll buy Archer & Armstrong and Eternal Warrior gold books all day. 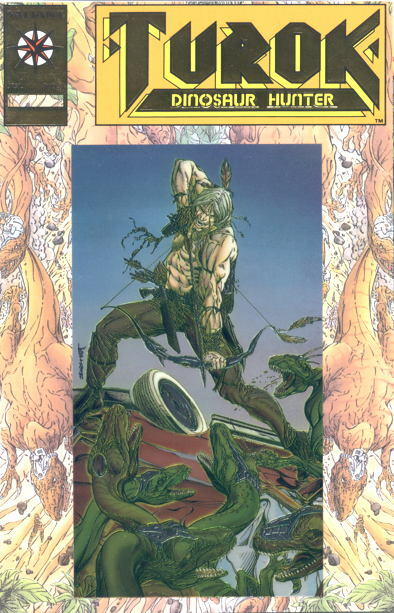 Turok, not so much. I’ve still got the Turok 1 gold though. The big Valiant announcement from SDCC this year is that they are starting up their gold book program again. I’m curious if the original gold books will pick up some steam with da New Valiant starting up their gold book program.